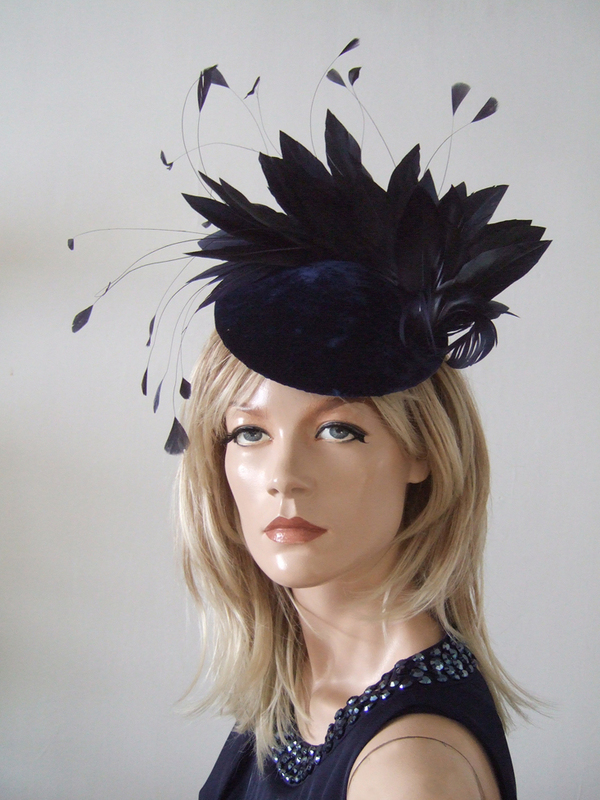 This is an amazing soft silk velvet smartie headpiece in Navy Blue, with a wave of trimmed goose and stripped coque swirling around the outer. A versatile headpiece that works great with not just Navy, but Neutrals, Gold and other Jewel tones. Fits all head sizes. Button measures 6.5" diameter, with the feathers extending further. Fits all sizes, using a band that wraps under the hair, and can be secured further with kirby grips if required.